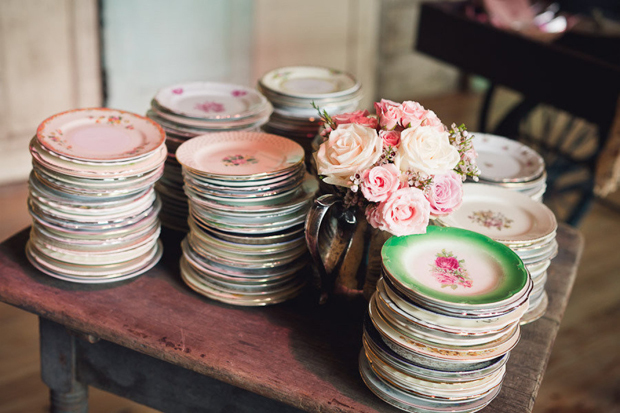 Whether you’re just tackling your wedding decor now or are coming to the end and are looking for some little extras to make the day even more special, you’ll find lots of brilliant ideas to make the most of your space here (and impress your guests while you’re at it) as well as where to hire/rent them! From light up letters to sparkly dance floors and fab flower walls to red carpet arrivals, these 14 brilliant decor ideas are sure to give your wedding that wow factor! There’s nothing as romantic as flowers and when it comes to wedding ceremonies, you’ve got lots of gorgeous ways to include them. 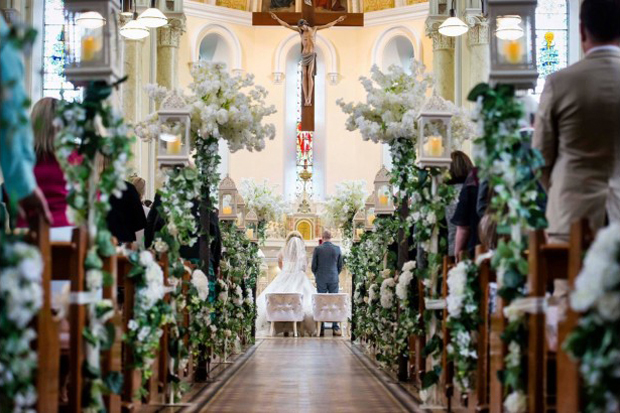 Traditional pew ends are great for bringing a pop of colour to the aisle or if you’re looking to make a serious statement, think a dreamy floral arch to greet you as you make your way up to the hubby or wife or some beautiful blossom trees flanking either side of the altar or aisle. 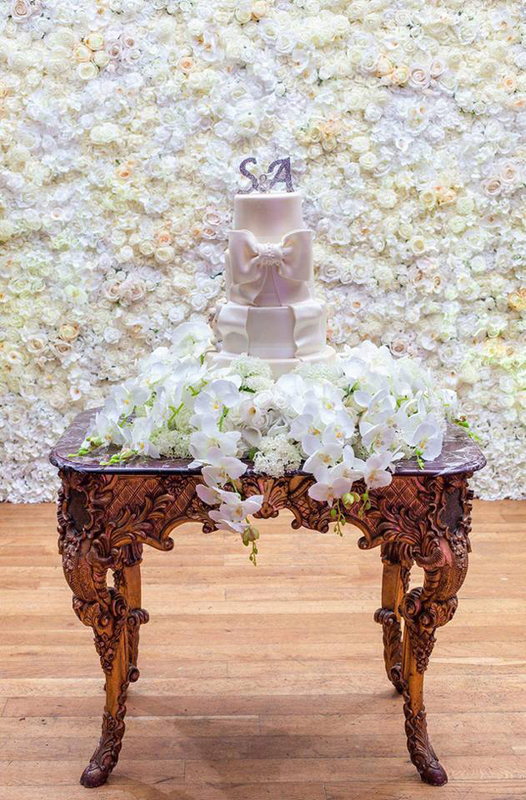 They’ll really add the wow factor to your space and create a fabulously romantic backdrop – arches come in full or half sizes and both fresh flowers and artificial options are available. And if you’re a fan of light up letters, you’ll be glad to hear Enchanted Wedding Company have ‘Love’ letters filled with the prettiest blooms and optional fairy lights for added sparkle! 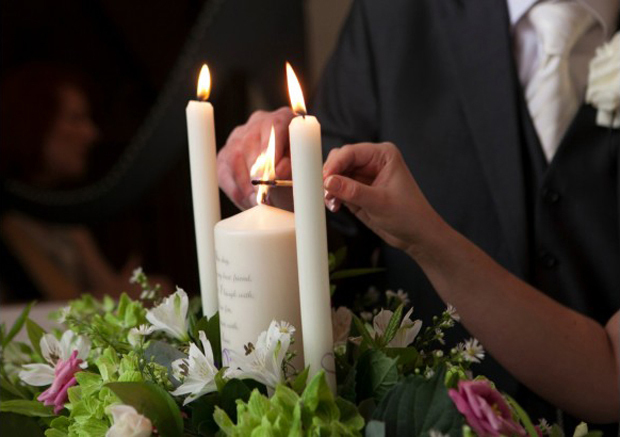 Candles play a big part in a lot of wedding ceremonies with many couples opting for a beautiful candle lighting ceremony to symbolise their new union. If you’re looking to make it extra special, you can have your candles personalised with your names, the date or a sweet inscription. Not only will it add a gorgeous personal touch to your ceremony, it will be a fab keepsake you can cherish afterwards. Another lovely idea is to have candles made in honour of lost loved ones as a special tribute – have them personalised with their names or a thoughtful quote. 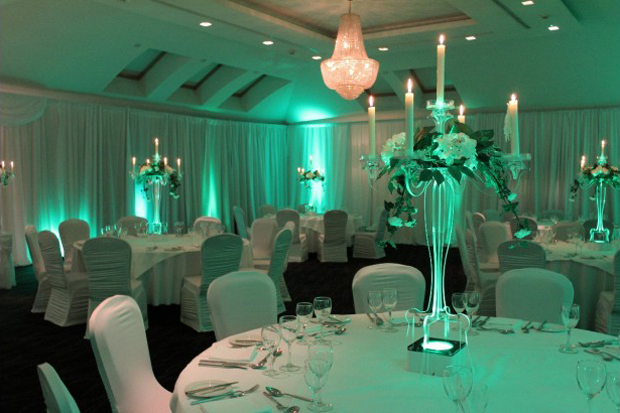 There are some great Irish companies that specialise in bespoke, personalised wedding candles – check out their portfolios by clicking on the links below. 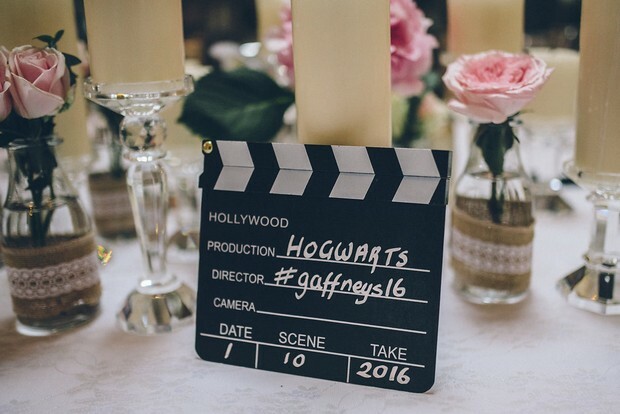 This fun little trend has popped up in lots of our real weddings and we’re defo on board with it! 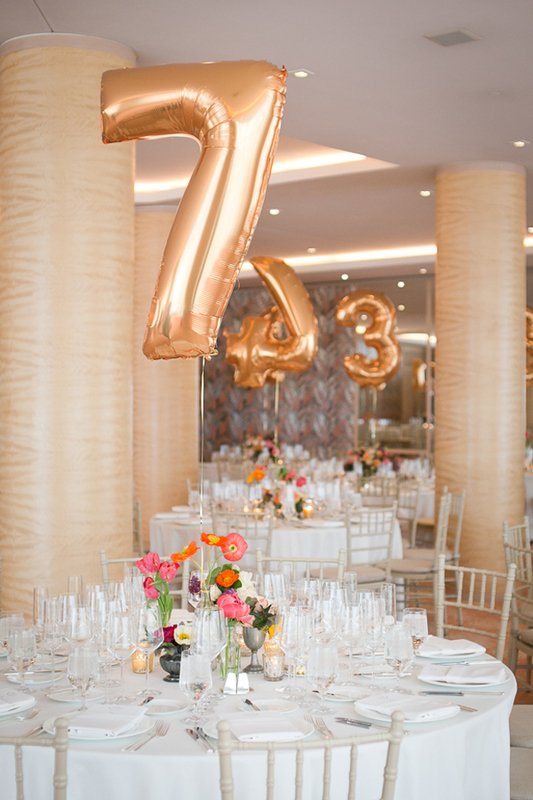 We’re all about personalising your bash and Letter Lights make it ridiculously easy to do so as well as bringing some fun and sparkle to the celebration as well. 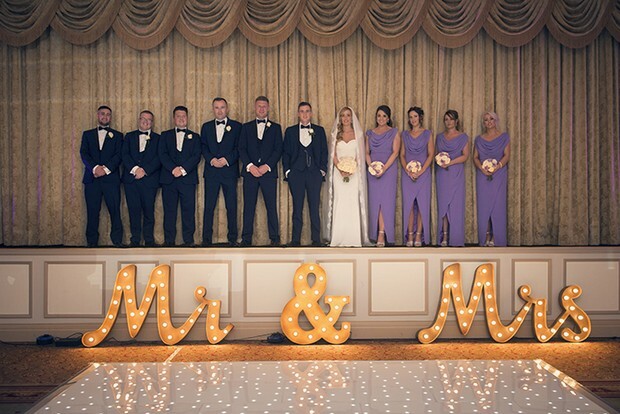 Giant Letter Lights can be hired all across Ireland with everything from single letters, initials, ampersands, words, numbers and hearts available so you can display your names, initials or a cute slogan or hashtag (you can even hire a giant LED heart shaped arch for a super cool entrance). 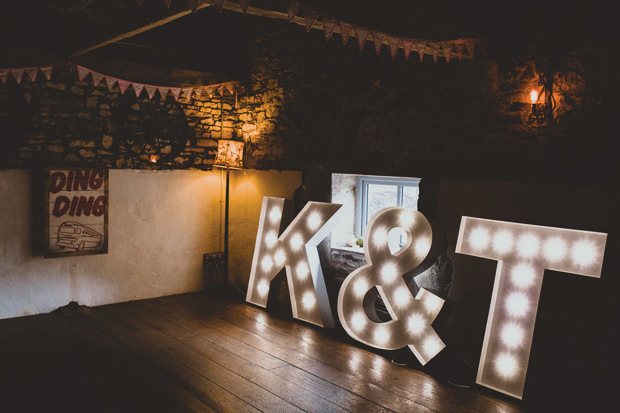 Check out 15 Brilliant Ways to Use Light Up Letters in Your Wedding here! Guests always make a beeline for the seating plan to see who they’re sitting beside so it can be nice to make it a bit of a feature. There’s tons of ways to impress guests with creative couples using French shutters, window frames, easels and ornate frames – and if you’re looking to have some fun and give everyone a taste of your fave things, you can work in everything from superheroes to your much loved bands and albums. 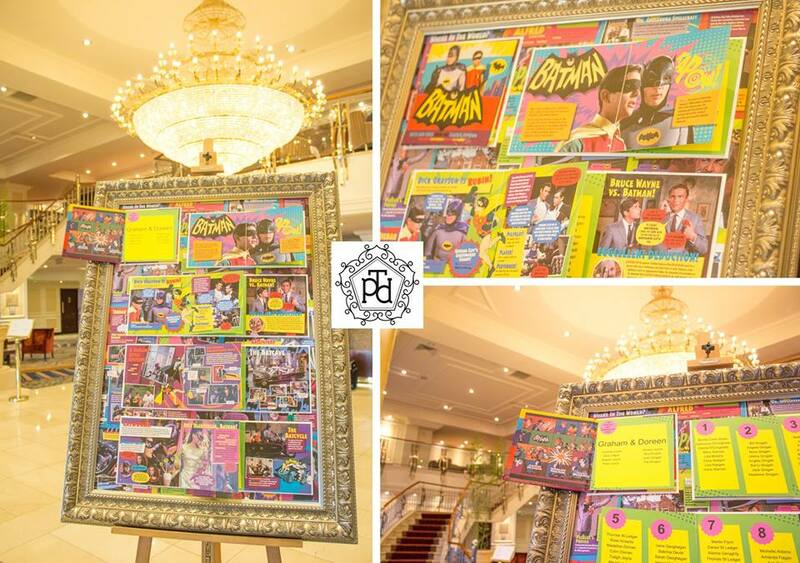 If you’re allergic to the thought of DIY but still want to pull out all the stops, Irish company Table Plan Designs can come to the rescue and create a masterpiece based on your interests whether it’s rugby, comic books or music or create something classic and timeless if you’re after something elegant. 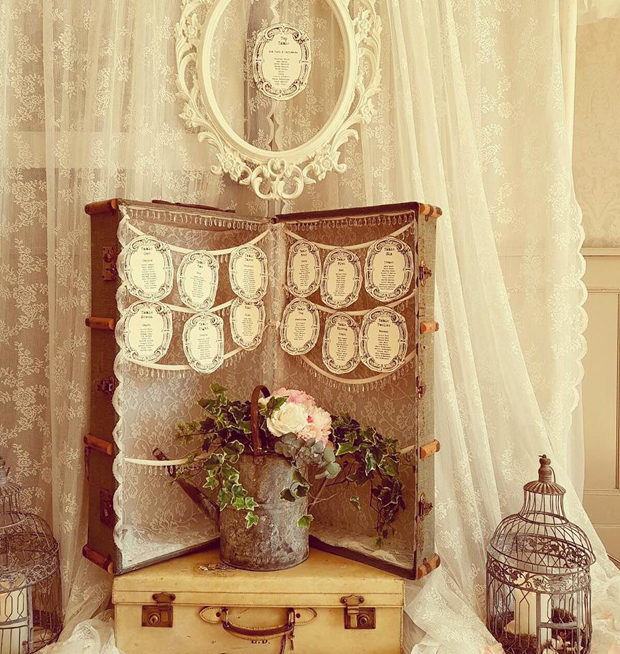 Or if you’d love a bit of an old-school twist, Vintage Affair have three pretty table plan options you can go for including a Vintage Trunk seating plan, High Tea China seating plan or Key to Your Seat French shutter door seating plan. 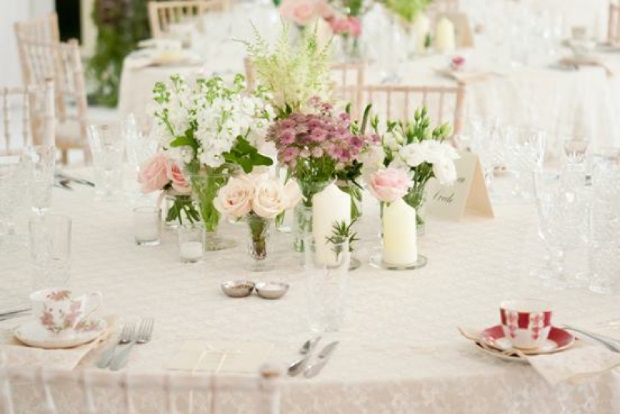 Your guests will spend a good portion of time sitting at their table so if you want to make sure they look the part, some gorgeous centrepieces are a must. If you’re looking for something different to candelabras or mason jars filled with flowers, take a peek at Wow Weddings‘s awesome collection of unique and seriously eye-catching designs – these fun, modern pieces will light up the table and get everyone chatting with everything from fish bowls and ice flowers lit up in the colour of your choice to Martini glasses (pop some flowers on top for added fun) to LED candelabras. Check out the entire collection here! 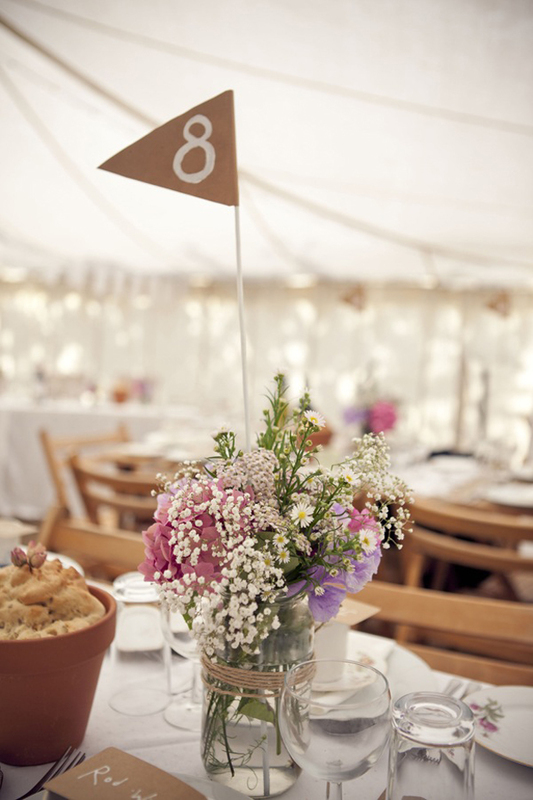 Or why not have some fun with your table names? Check out some great ideas here. 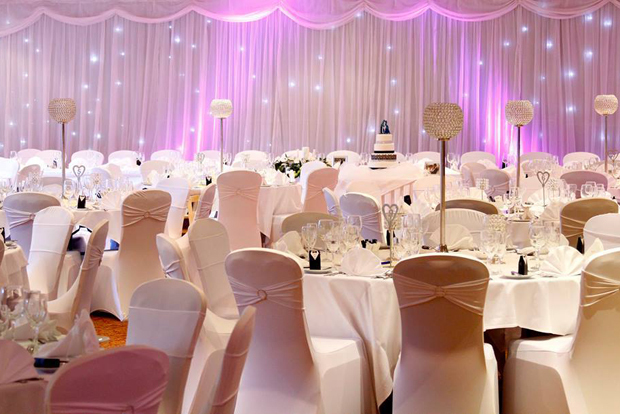 The dance floor is where all the action will happen later on so make sure it’s fit for the occasion with a little added sparkle. LED dance floors are all at the rage at weddings at the mo and are a fab way to create a really striking focal point. 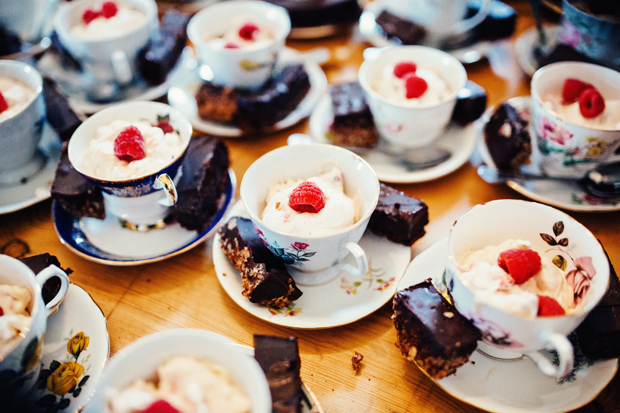 There are lots of great Irish suppliers that offer this service – check them out below, and if you’re looking for even more ways to make sure your dance floor is the place to be, check out 13 Ways to Make Sure the Dance Floor is Packed at Your Wedding here! 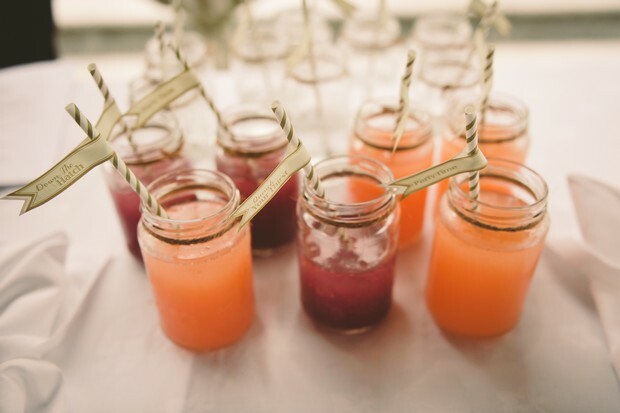 The humble mason jar has transformed weddings with so many awesome ways to spruce them and include them in your day. If you’re looking to get creative with your decor, start washing out and collecting your old Dolmio jars now and cover them in glitter, twine, gold paint or doilies. 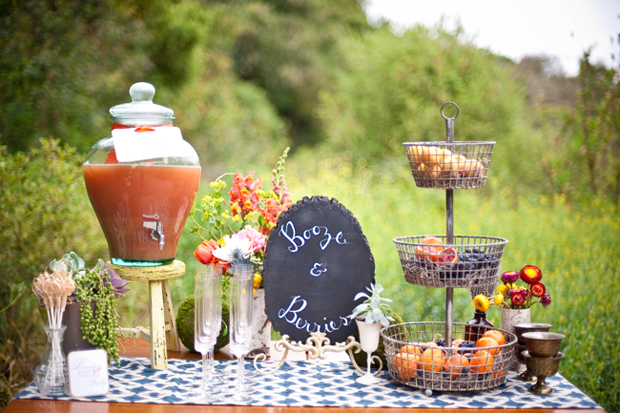 Use them for everything from displaying pretty posies on your tables, to collecting wedding wishes, displaying props, as part of your drinks station – we could go on all day. Check out some more genius ways to use them here! 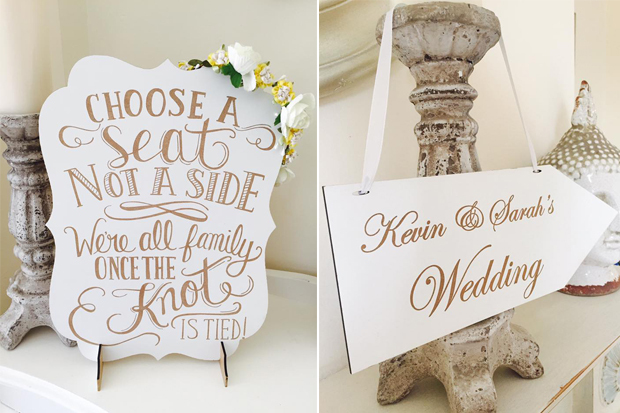 We’re a big fan of wedding signs – they’re one of the best ways to give your day that personal touch and look amazing as well. There’s also so many lovely ways to include them, whether you want your little flower girl or page boy to proudly announce your arrival, are looking to direct guests to where the party is or honour a lost loved one at your ceremony. There are some great Irish companies that specialise in personalised signage so if you’re looking for something in particular, be sure to have a chat with them as they’re always open to creating custom designs! 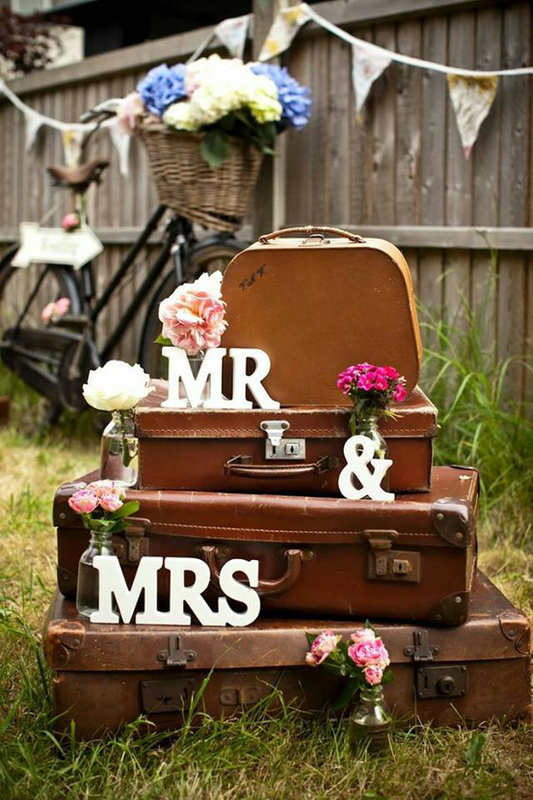 There are some amazing props out there you can hire to create a truly romantic and memorable space such as vintage typewriters, old Gramophones, vintage suitcases, bicycles-for-two, and beautiful rustic signage that will really transport your guests to another era. 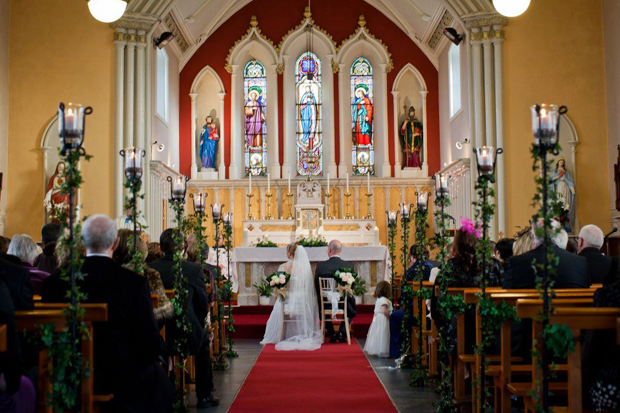 There are several Irish companies that have an abundance of out of this world pieces that you can hire that will save you trips to flea markets and that you won’t have to off load once the Big Day has been and gone – check out the brilliant Decor & Event Stylists and Suppliers in the weddingsonline supplier directory for all your prop needs. 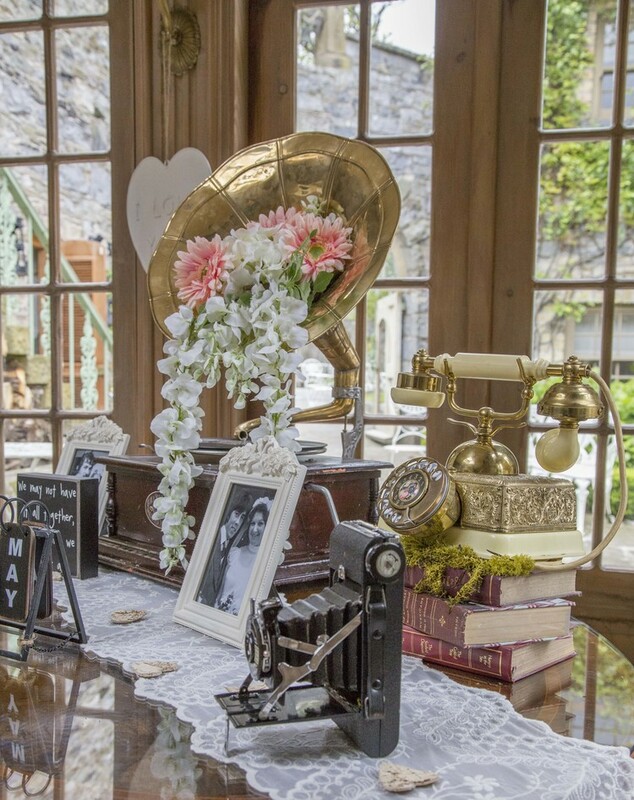 And if you’re looking for a cool old-school post box, Emmaginative Wedding Designs, The Enchanted Wedding Company and To Have & To Hold all hire out a fab white old-school post box that can be used to collect your guests’ cards!